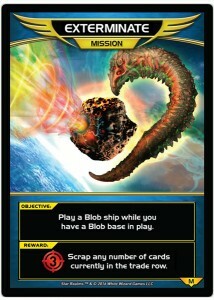 Objective: Play a Blob ship while you have a Blob base in play. Reward: Add 3 Combat. Scrap any number of cards currently in the trade row.